El Bolso returns with another installment of his History of Nacional. Finally, it’s time for another installment of the history of Nacional, everyone’s favorite Uruguayan soccer team. We left off with Nacional conquering Europe in the 1920s and providing the Uruguayan national team with many of the players that would win two Olympic gold medals and the first World Cup, all in a span of 6 years. At the same time as La Celeste was conquering the world, the local league was preparing for a fundamental change: professionalism. Up until this point, players were considered amateurs and were not allowed to earn any money from the games they played. Of course, there were always club executives and well-to-do fans willing to provide some “encouragement,” anything from free goods from their businesses to cushy jobs that paid well above market rate and weren’t too strict about showing up on time or actually working. Imagine SEC football with Guinness commercial facial hair; that’s what we’re talking about. Eventually internal discontent and external pressures led to the adoption of professionalism. Amateurism meant uneven treatment and no legal protections for players, and clubs had to rely on shady boosters who had too much power and influence (again, look at colleges like LSU, USC, or Ohio State). The final straw was the decision by the Argentinian league to go pro in 1931. Before then, Uruguayan players had no real alternative to the system in place; now they could just jump on a ferry and be in Argentina in a few hours. In April of 1932, the Uruguayan Professional League (LUP) was created with 10 teams. Peñarol won the first tournament, totaling 8 more points than the third place Tricolores squad. But better days were on their way. José Nasazzi, far left, exchanging pregame handshakes before a charity match between the Uruguayan National team and Mad Scientists FC. After the failed 1932 campaign for the title, Nacional adjusted to the realities of professionalism, throwing their money around like Brian Cashman on a three-day drunk. World champion fullback and national team captain José Nasazzi was signed away from Bella Vista; he had previously played for Nacional as a loaner during their European trip. Domingos da Guia, one of the best Brazilian defenders of all time, was brought in to help Nasazzi on the back line. Former club superstar Pedro Petrone returned from Italy to finish his career at home, and the club signed away other key players from smaller teams: Juan Labraga from runner-up Rampla Juniors and Eduardo Ithurbide from perennial amateur power Montevideo Wanderers. If you can’t beat them, buy their team out from under them. 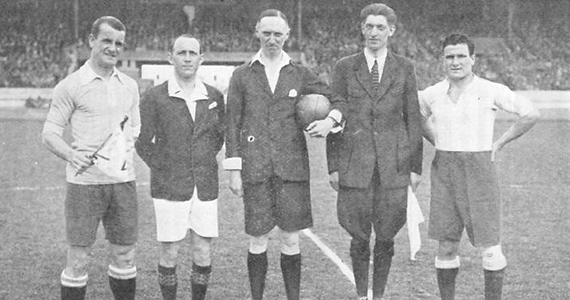 The signings had an immediate impact, as Nacional won the 1933 and 1934 national titles. Of course, this being Uruguay, they managed to win both championships in late 1934. The 1933 edition ended with Nacional and Peñarol tied at the top with 46 points. Because this is Uruguay, the final match was scheduled for May 27 of 1934. The game was scoreless until 70 minutes in, when a Peñarol player (some say Pelegrín Anselmo, others a Brazilian import by the name of Bahia) shot just wide of the goal. The ball went out of bounds near the post, rolled into a wooden case that belonged to Nacional’s trainer, and bounced back onto the field of play where Braulio Castro, a Peñarol forward, pushed it into the goal. The referee blew his whistle and made some sort of a signal. Nacional’s fans say he conceded the goal, while Peñarol’s (and the referee’s own testimony) argue that he called for a goal kick. Nacional’s players swarmed the referee; Nasazzi, Labraga and Ulises Chifflet received red cards. Rattled by the events, the official suspended the game and ran to the dressing room (you would think that if he really had called for a goal kick, he could have ended the protests by pointing that out). After much arguing, one of the linesman picked up the whistle and restarted the game, but soon after that it had to be stopped again because the sun had gone down and no one could see a damn thing. The play in question has become a part of Uruguayan soccer history, known as “el gol de la valija” (the suitcase goal). At the end of July (keep in mind, we’re now seven months into the next year) league officials ruled that the game would have to be continued from the point where it had been suspended, but it disallowed Peñarol’s goal (because the ball went out of bounds and hit a friggin’ suitcase!) Nacional would have to continue the game with only 9 players (Chifflet’s red card was waived for some reason). Nasazzi was suspended for a year and Labraga for 15 months (that must have been some strenuous protesting). The linesman caught a three-month suspension, just because. The game was scheduled for August 25th (the anniversary of Uruguayan independence) and it was decided that fans would not be allowed in. Because everything in Uruguayan soccer must have a nickname, this game is known as “el clásico de los nueve contra once” (the 9 vs. 11 Derby). Nacional held off Peñarol’s attacks for a scoreless tie, and there was yet another tie (also scoreless) in September. With the 1934 tournament in its decisive stages, a new final was scheduled for November 18th. With three goals from 1930 World cup hero Hector “el Manco” Castro (his nickname means “one-handed” because, well, he was missing a hand), Nacional beat Peñarol 3-2 and won the title. Amazingly, the game did not get a special nickname. 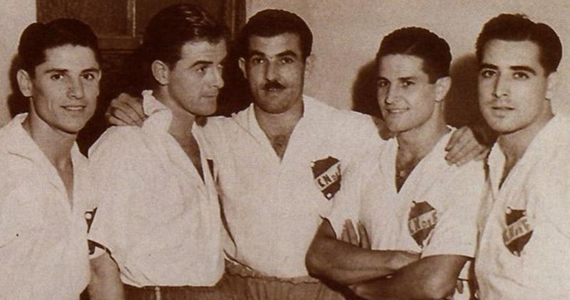 The forward line that won Nacional five straight national titles, from left: Ciocca, Colpi, Atilio García, Ballestrero and Zapiraín. After their 1934 national title double-dip, Nacional fell off the pace and was surpassed by a rejuvenated Peñarol, coming in second place four years in a row, never by more than three points. Peñarol’s four-peat was the first ever in Uruguayan soccer, trumping two three-year runs by Nacional in the teens and twenties. Something had to be done, and Nacional was up to the task. The first step in regaining prominence was the hiring of a foreign coach, as it was believed that the club needed to modernize its style of play; Scottish-born William Reaside was chosen. Reaside molded the team in his image during the 1938 and 1939 seasons, but returned to Scotland before the end of the latter competition. His assistant, “el Manco” Castro (remember him from the last paragraph?) took over. The biggest addition Nacional made during this time period was the signing of Boca Juniors forward Atilio García. The story goes that club executive Atilio Narancio (you may remember him from an earlier post because he mortgaged his house so the national team could make it to the 1924 Olympics) had traveled to Buenos Aires to sign another Boca forward. That particular player had already been promised to a Brazilian team, so he was given a list of reserve team players to look over. 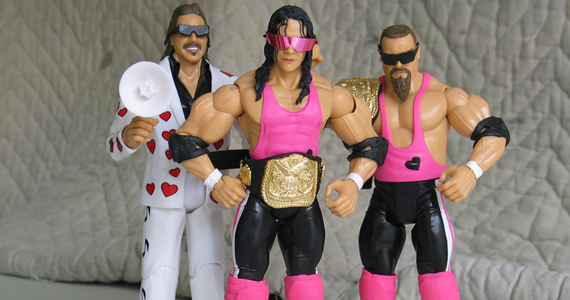 Narancio had no idea who these guys were, but he asked about García, an unremarkable 23-year old at the time, because they shared a first name. The deal was made, and García crossed the river and became one of the most celebrated players in Nacional’s history, owner of many scoring records and the lynchpin of a team that would dominate for nearly a decade. With García leading the attack, Nacional finished the 1939 season two points ahead of Peñarol. Some last-minute backdoor political maneuver by the traditional rival led to the team being stripped of one of its wins, however, so the final table showed a tie at the top, and an additional game was needed. Amazingly, the game was played that very year, with Nacional pulling out a 3-2 overtime win thanks to a goal by García, who was the season’s top scorer with 22 goals in 12 games. Having stopped Peñarol’s run, Nacional went on one of its own, easily capturing the 1940 and 1941 titles. In 1942 the Tricolores won again, besting Peñarol by only two points and equaling their rival’s run of four straight titles. One year later, they made history as the first-ever team to win five championships in a row, clinching the cup by beating Peñarol 3-1 in the next to last game of the season. Atilio García was the league’s top scorer in each of the five years; he would lead in 8 out of 9 years between 1938 and 1946. Nacional had a new idol. This is what Nacional looked like in 1941, except with fewer hearts and more balls. The 1941 season deserves special mention. The league was composed of 11 teams at that time, so everyone played 20 games total (twice against each opponent, home and away). That year, Nacional won each and every one of those games, scoring 79 goals and conceding only 22. By comparison, second place Peñarol, which lost only 9 points in what would have been a championship-level performance in any other year, had the second best attack with 60 goals, and the second best defense with 31. That’s right: Nacional’s goal differential of +57 was 28 better than the next best team. Nacional reached double figures in aggregate goals against three separate teams: Defensor, Liverpool (no, not that one) and Rampla Juniors (which finished the season in third place). Someone should forward this article to Mercury Morris so he can learn about true perfection. On the last day of the season, Nacional was due to play Peñarol with the title already decided. As was customary, the reserve squads played their game first and Nacional won 4-0, with Eusebio Urruzmendi doing all the scoring. In the main event, Peñarol received an even bigger beating: 6-0 in favor of the good guys. Atilio García scored twice; Bibiano Zapiraín, José Fabrini, Luis Ernesto Castro, and Roberto Porta each tallied once. The day is popularly known as “el clásico del 10-0,” or “the 10-0 Derby” and is one of Nacional’s most treasured memories. The 6-0 score is the biggest goal differential (for either team) in an official match in the long history of the rivalry. That Nacional team of the late 30s and early 40s was the first truly dominant team in Uruguayan soccer history. Peñarol had won the four previous seasons, but there wasn’t as big a difference in quality between the two sides then. Nacional was usually in contention until the very last moment, and it managed to win lesser tournaments like the Honor Cup during that time. Those five years between 1939 and 1943 were all Nacional, all the time. They won the Honor Cup in each of the 5 years, as well; they had won it in 1938, as well — the only time a local team has won 6 consecutive editions of an official competition. They won 77 of 96 national championship matches during that stretch, tying another 9 and losing only 10. They managed a 10-game winning streak against Peñarol (counting only official national championship matches), and they had that perfect season, the one and only time that particular achievement has ever happened in Uruguayan Soccer. Other dominant teams would come and go – Peñarol at the end of the 50s and 90s, Nacional in the late 60s and early 70s – but this was the first Uruguayan dynasty. RT @Jobus_Rum: Nacional: Uruguay Goes Pro: El Bolso returns with another installment of his History of Nacional.